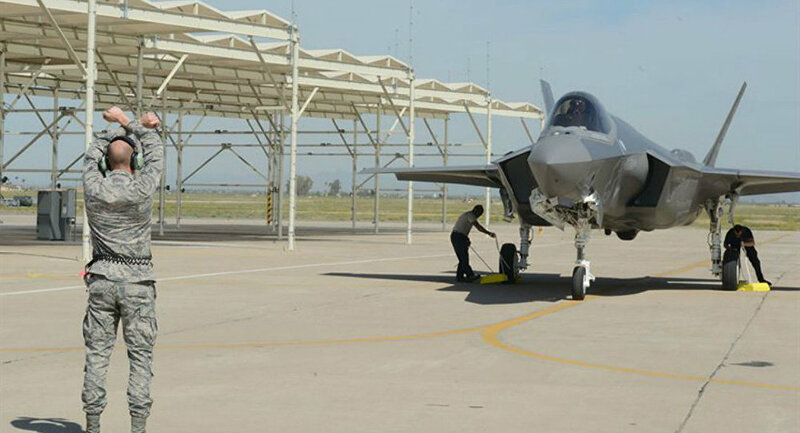 The F-35 program office is moving forward with plans to change the On-Board Oxygen Generation Systems (OBOGS), after pilot oxygen poisoning caused 55 F-35 jets to be grounded last month. Five episodes of hypoxia occurred for pilots at Luke Air Force Base in Arizona in May and June. The sharp uptick of such events led to the grounding. Protective measures were introduced on June 21 to get the jets back in the air. At the time, a root cause had not been uncovered and a concrete fix had not been set in place. The service will now upgrade the software underlying OBOGS on F-35 fighters in hopes of ending physiological episodes stemming from lack of oxygen. In a statement to Defense News, however, the F-35 program office mysteriously insisted there had been no issue with OBOGS. “There is no indication the delivered oxygen concentration was a contributor to any of the recent events,” a program spokeswoman said. A US Air Force investigation into F-35 oxygenation systems is ongoing. It is unclear is how expensive it will be to modify oxygen generation systems across the fleet of US F-35s. “Cost estimates are still being developed,” spokeswoman Brandi Schiff said. The service expects Honeywell — the producer of OBOGS — and Lockheed to complete the work in two years, but plans to work with the contractors to accelerate that timeline, Schiff noted. The Defense News report did not specify whether upgrade costs would absorbed by the contractors or US taxpayers. 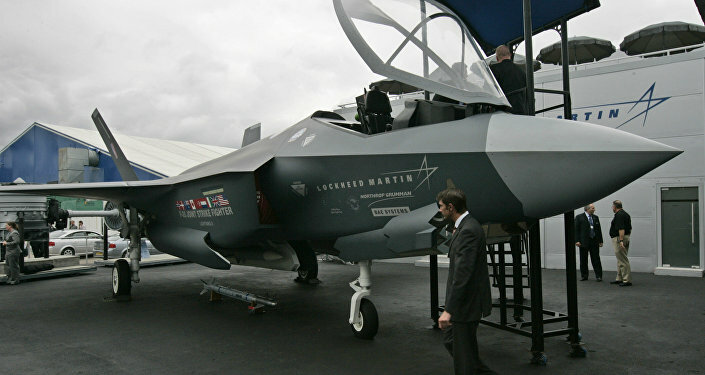 Inhalation sensors are another option the service is looking at to resolve the F-35’s woes, Sputnik reported. US Navy T-45 pilots have also been affected by oxygen deprivation, and F/A-18 Super Hornet pilots have reported issues with OBOGS for years. The precise reason OBOGS — or another component of the jet — keeps causing hypoxia mystifies top US military brass. “The system has worked for 20-plus years” on aircraft like the Harrier, Lt. Gen. Jon Davis said June 10. OBOGS is “the same box in the Harrier,” he said. “It’s the same OBOGS box and we don’t have a problem in Harriers. So what’s different? What is different in the T-45s?” The same question seems to apply to the F-35 as well.